There is no denying how powerful Twitter can be for your business, but the key is when to Tweet and how often. Beyond the actual content of your Tweets, it’s important to take a look into your Tweeting schedule and strategy to ensure the best reach and response. Like many small businesses, you may still be trying to get the hang of all the different social media tools out there. Twitter is one of the easiest and least time consuming ways to connect with your consumers. The “Goldilocks Rule” applies to Twitter when it comes to how often you should Tweet – aim for somewhere in the middle, not too much or too little. Depending on your audience, the amount of “just right” does slightly vary so take the type of people who follow you and your business goals into consideration before you Tweet. As far as the types of Tweeting, there are different kinds of messages you can send. Conversational Tweets are a good way to start off and generate a little buzz. Your “money Tweets” are your targeted marketing messages and should be your main focus. Also keep in mind that you’ll want to be sure to respond to anyone who says anything directly to you which doesn’t count toward your Tweeting total. Trends show people tend to check their Twitter a few main times during the day – early morning, before and after lunch, and at night before going to sleep. To help maximize your delivery you can take advantage of sites like su.pr by StumbleUpon which tracks your Tweets and provides data on your best time for exposure. Stay organized with a Tweeting schedule or calendar to keep track of when you tweet and what you’re Tweeting about. You can mix up new information and updates with older posts and if you’re running low on content, its okay to repeat past Tweets. 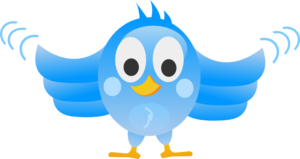 Check out this article for more on getting the most out of your Tweets. « A Great Time in Philly!